Need to get your Samsung Galaxy S6 fixed? Battery not holding a charge? Camera not working right? Cracked screen? We can help! All repairs include parts & labor plus a lifetime guarantee. Samsung Galaxy S6 cracked glass replacement. Parts, labor & lifetime warranty. Broken picture on your Samsung Galaxy S6? This is the repair you need. 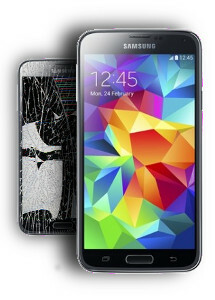 Complete screen replacement with lifetime warranty. Is your Samsung Galaxy S6 no longer charging? Most likely it needs a charging port repair. Lifetime guarantee. Great price. 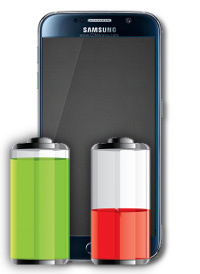 Replace the battery on your Samsung Galaxy S6 so it lasts all day again. Lifetime guarantee. Get the back cover of your Galaxy S6 fixed. No need to have it looking horrible. Fixed fast and inexpensive. Broken headphone jack on your Galaxy S6? This is the repair you want. Parts+labor and a lifetime guarantee. Can't here callers unless you put them on speaker phone? This is the repair your Galaxy S6 needs. Part & Labor plus a lifetime guarantee. This is the repair you want if the front camera on your Galaxy S6 isn't working properly. Parts+labor & a lifetime guarantee. Does your Samsung Galaxy S6 no longer ring? Can't use it on hands free because there's no sound? We can fix that. Lifetime guarantee included. Samsung Galaxy S6 power/sleep button repair. Includes all parts & labor. Includes a lifetime guarantee. Usually fixed in an hour. This is the fix you need if your up or down volume button (or both) has stopped working on your Samsung Galaxy S6. This is the repair you need if your Samsung Galaxy S6 has stopped vibrating. Fixed in about an hour. Lifetime guarantee. This is the repair you need if your Samsung Galaxy S6 has a scratched or broken back camera lens. 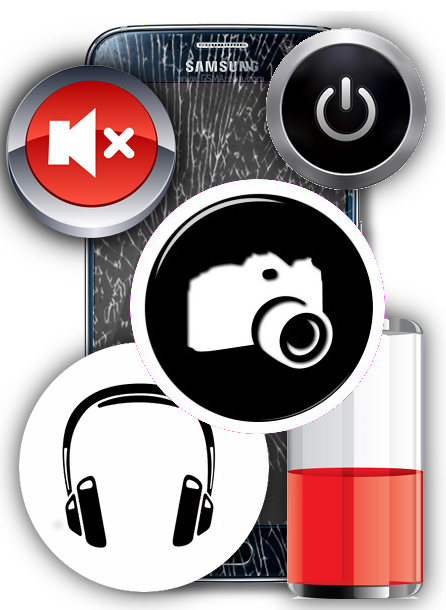 This is the repair you need if your Samsung Galaxy S6 has stopped blacking out the screen when you hold it to your ear. Broken back camera on your Galaxy S6? This is the repair you want. Parts+labor and a lifetime guarantee.